- Load Capacity: Up to 1200 Kg. Design: As Per Customer Required. We are offering Imported Castor Wheel to our client. 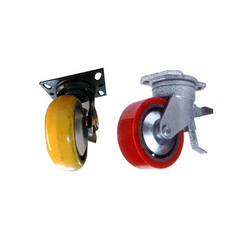 Backed by huge industry experience and market understanding, we are involved in offering a wide array of PU Trolley Wheel to our valued patrons. We are offering PU Trolley Assembly Wheel to our client. We can provide excellent quality of PU wheels. Our PU wheels are suitable for use on epoxu coated surfaces. 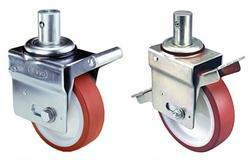 Bare wheels can be supplied with bearing and nut bolt option.